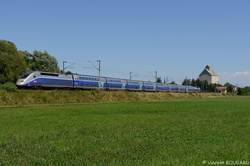 TGV Duplex 4722 at Mommenheim. 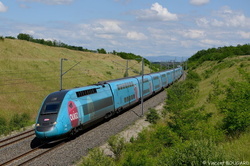 TGV Duplex 763 Ouigo near Les Échets. 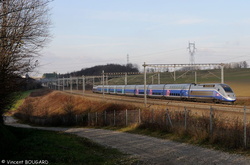 TGV Duplex 4713 at Hochfelden. 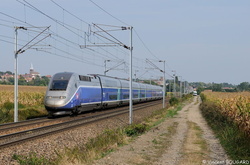 TGV Duplex 213 at Montanay. 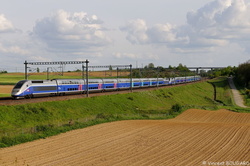 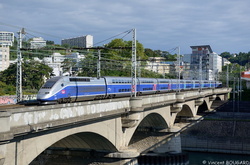 TGV Duplex 272 at Montanay.